This two-millimeter moth would fit on one of the red knobs on the cecropia caterpillar’s back. The pale larvae pretty consistently fill the first part of their mines with frass particles carefully placed in closely spaced, zigzagging arcs, then transition to making a narrow central frass line toward the end of the mine. Erik van Nieukerken has determined that there are at least six different Stigmella species forming linear mines on birches in North America, and I believe this is one that doesn’t have a name yet. I reared some adults this spring, but I haven’t gotten that far in my photo sorting yet. Flipping the leaf over to look at the underside, I saw what was responsible for the little whitish patches. See the elongate object near the tip of the leaf? A casebearer feeds by attaching the mouth of its case to the underside of a leaf, chewing a hole in the lower epidermis, and mining into the leaf by extending the front of its body out from the case. Well, that’s how older larvae feed; the youngest larvae feed as regular leafminers, their bodies entirely within the mine. The mine is then cut out from the leaf to form the portable case. In the case above, you can see that the larva left the very tips of the leaf serrations unmined. The presence of leaf serrations tells us that the case was cut from the edge of a leaf—in fact, it came from the base of this very leaf. The photo above shows the underside of the leaf, and you can see that there is something projecting from the left edge of the missing leaf piece. This is a smaller case that the larva abandoned when it mined into the leaf to create the case that it is currently wearing. And where did that case come from? I surveyed the various holes in the leaf (most of which were not made by this larva) in search of one the right size and shape. I knew I had found the right one when I saw that it, too, had a smaller abandoned case attached to it! I’m going to attempt to rear these, but I’ll be more likely to succeed if I can find more in the spring. This entry was posted in Uncategorized and tagged Betula, Betula lenta, Betulaceae, birch, black birch, casebearer, caterpillar, cecropia moth, Coleophora, Hyalophora, Hyalophora cecropia, larva, leaf mine, Lepidoptera, moth, Nepticulidae, Saturniidae, Stigmella. Bookmark the permalink. And then there are those elusive Brachys….!? No sign of them on birch yet… but a few weeks ago I found a larva mining a Lyonia leaf! Excellent article, Charlie! 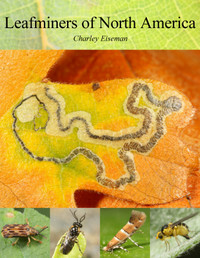 A lot of info on who makes all those holes in leaves! Whole worlds happening on a leaf most people never notice. I am fascinated by this. Great article Charley. This is the most amazing post. It kind of blew my mind. Terrific, eye-opening post, Charley! I particularly enjoyed the meticulous photo series of your Coleophora observations. Cool stuff! Thanks for the close-ups too. Informative, Charley! I am attempting to rear, for the first time, two Coleophora found on white birch. Do you have advice on how to overwinter them? I don’t have much experience with them, but it’s important to either keep them outdoors or refrigerate them until the leaves of their host plant are available again in the spring, to prevent them from waking up too early and having nothing to eat. An amazingly informative post, Charlie. 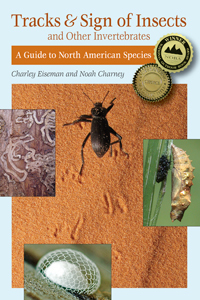 I hadn’t read it till now so I guess you are in springtime and more excitement is happening in the bug world! I thought the first caterpillar reminded me of our Emperor Gum Moth – Opodiphthera eucalypti, here in Australia and then you said it was a Saturniidae and I saw the moth. Striking similarities between the two! The tiny casemoths are fascinating too. I often get our much larger casemoths around my garden; the Saunder’s casemoth – Metura elongatus. It’s amazing to see such a tiny one and learn how it upgrades its case as it grows. Keep up the great work, Charlie!